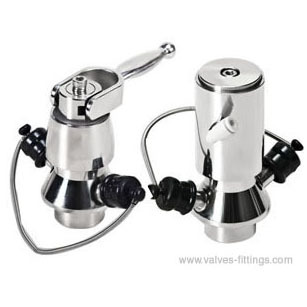 AV-7A stainless steel aseptic sampling valves are used in the food, dairy, brewery, winery and many other hygienic industries. Aseptic sampling valve is made from three parts: valve body, valve head and one piece of diaphragm. A rubber diaphragm valve is put at the axis of valve head, acting as an extensible valve core.